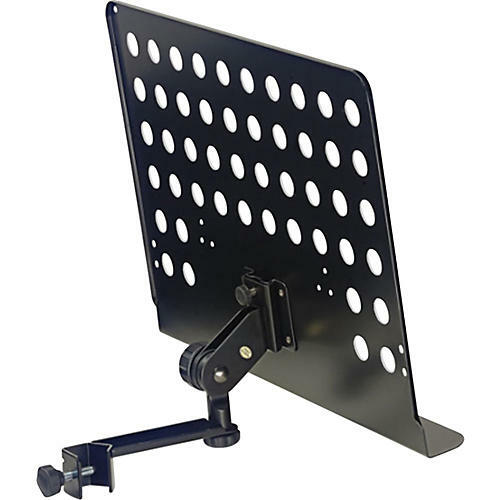 Choose a small or large music stand plate with an attachable holder arm. Each includes a clamp mechanism with a lockscrew to attach to a mic stand. Small plate: Dimensions - 12.4" x 9.4"
Dimensions - 18.8" x 13.6"